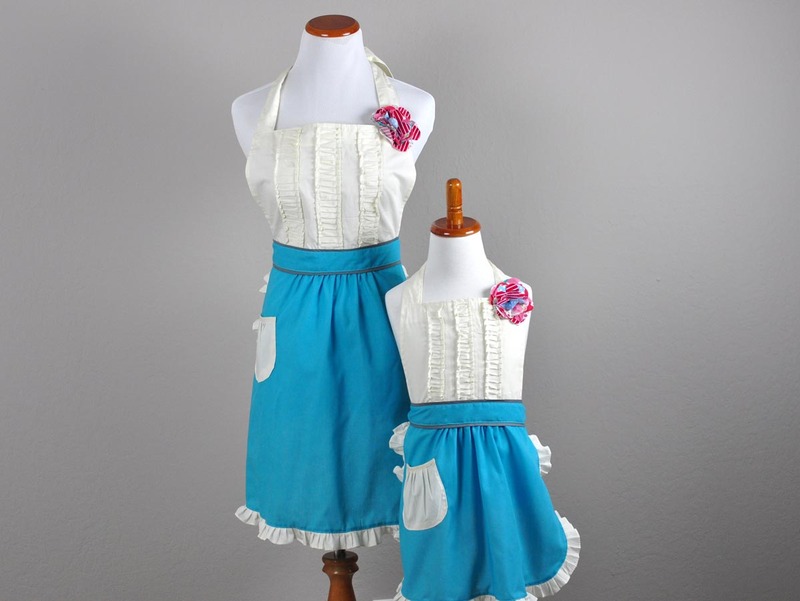 Mommy and her mini-me will look so adorable in this sassy apron set. 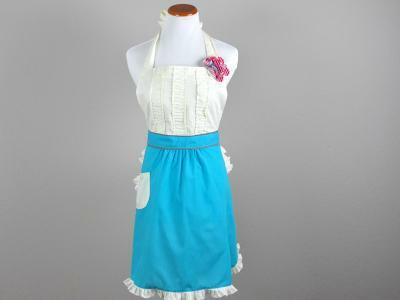 The tops of this apron set is cream with a fun fabric flower. 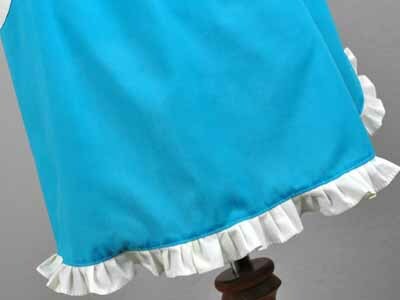 The apron skirt is teal with cream ruffles and a little side pocket. 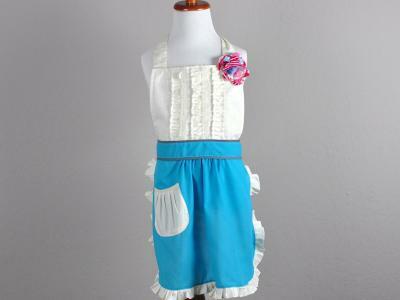 Mother and Daughter Teal and Cream Ruffle Apron Set Customers have rated this product	5 out of 5 based on 4 rating(s). I ordered Mommy and Me aprons for my daughter and 4 year old granddaughter as well as an additional matching one for me. Delivery was timely. Quality is high. 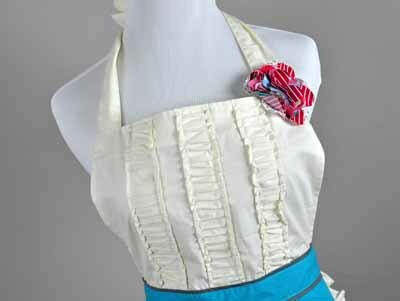 The flower on the shoulder is a darling component of the design and workmanship. Thank you - we'll be taking pictures of making Christmas coo..
Very,very happy with this purchase. The aprons were super cute, well made and my daughter was thrilled. She's a 3T and this fit her with room to grow into - the tie at the neck is adjustable so should work for a while. I'm happy with the colors/quality so something that I want to wear also. Would re..
Adorable! They look much like ones I saw a long time ago at Anthropologie and always wanted. I know my 2 year old will be so excited to get this for Christmas, and she'll be thrilled that I have a matching one, too, to wear with her!..